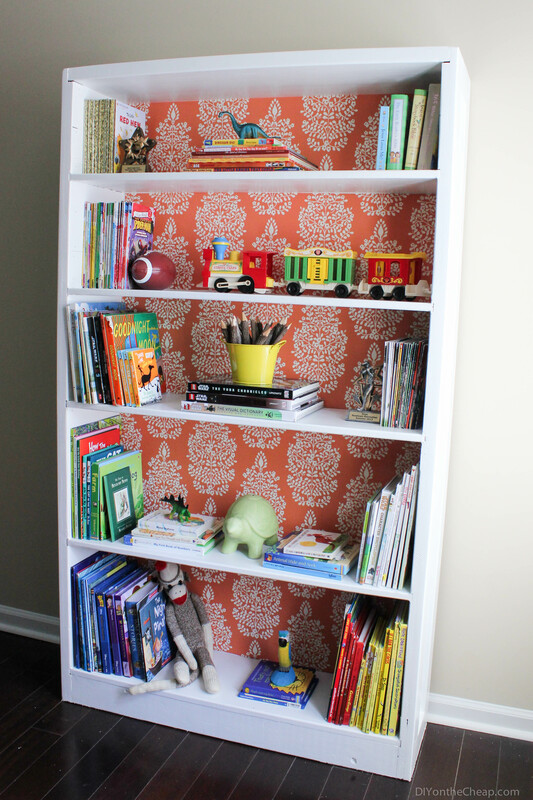 What makes this an inexpensive bookshelf makeover project? The answer is leftover wallpaper. This post provides an additional reason you shouldn’t through away leftover wallpaper. Learn from the blogger DIY on the Cheap on how to transform a bookshelf. Click on the link below the photo on the left for the free tutorial that includes before and after photos.